There is nothing like walking into a room lined with books, perhaps that’s why the hashtag ‘bookshelfporn’ is racking up in posts. More than what kind of books are on the shelves, seeing a “library” in a home not only makes for a unique home design but says a lot about the home’s resident. From books stacked on the floor or placed neatly alongside the walls, we take a look at some of the best bookshelves on Passerbuys to turn your book obsession into a new home decor style. Read on for some tips and tricks. Start by building your book collection, from fiction to books that keep you inspired, make sure you have enough books to work with. We recommend checking out our Best Books of 2017 and The Most Popular Memoirs Recommended on Passerbuys as a starting point. Perhaps not the librarian route, but definitely pleasing to eye. 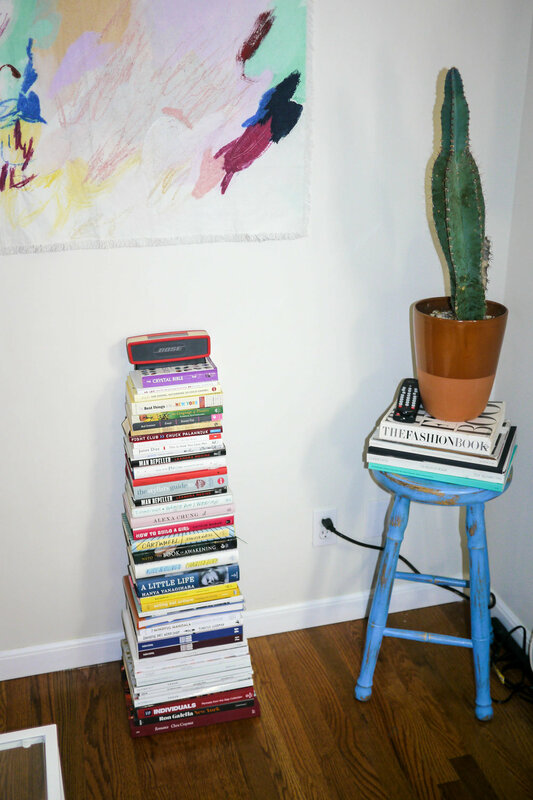 We’re obsessed with what Fariha Róisín did with her bookshelf. We also love how Molly Young takes it to the next level by also color coding her objects. You don’t have to just fill a bookshelf with books. 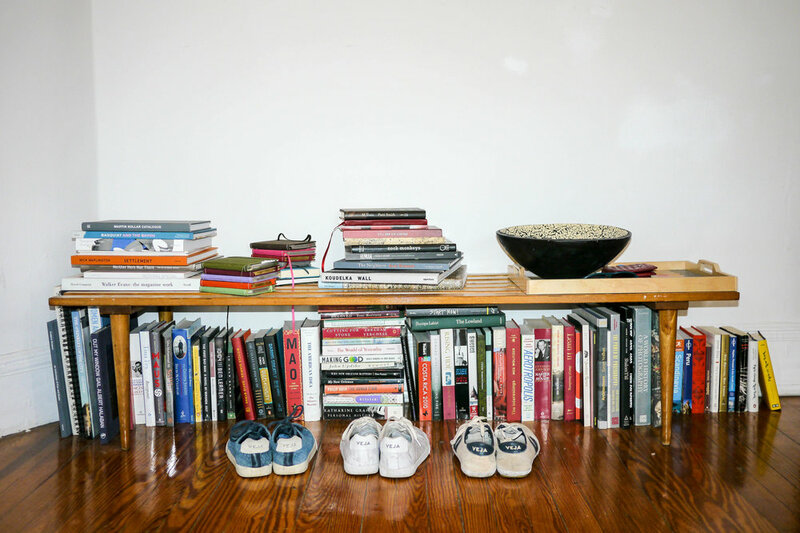 Add decorative objects to give your bookshelf structure. Molly Young does this perfectly by mixing in bowls, pencil holders, and clocks. Shawana Grosvenor keeps it more minimal with wooden bowls and vases. Candle holders, ceramics, miniature statues, trays or a frame, just ask yourself if it can serve as a focal point. If you’re not working with much space within your home, aim for a white bookshelf and showcase a neutral palette of books. Avoid fully filling your shelves as it’ll help open up the space. 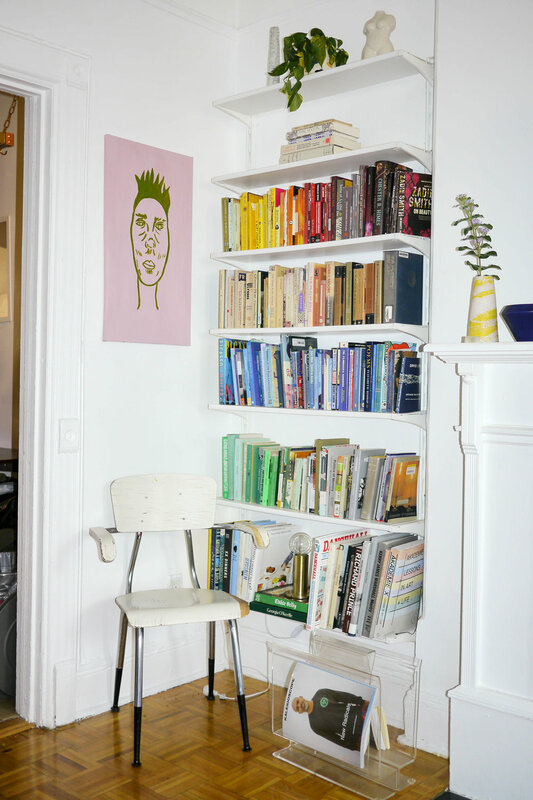 Whether fresh or dried, adding a touch of color to your bookshelves can make a big difference. Let your bookshelf breathe by placing books both horizontally and vertically. We like how Soraya Ahoubim skips the book holder by placing a couple of books flat along with a decorative object on top. Showcase your favorite books by facing them out, like Shawana Grosvenor and Soraya Ahoubim. Fill your bookshelf sparingly or full. Make sure to leave some room to avoid your bookshelf looking crammed. A downside to a filled bookshelf is that it can make a room look smaller. Incorporate artworks on your bookshelf, small or large. We love how Angie Venezia breaks up her full collection of books with varied sized paintings, it helps keep the display decluttered. Have an empty chimney? A long hallway? Staircases? Or just a plain blank wall? Passersby Molly Young, Erin Allweiss, Alyssa Coscarelli and Olivia La Roche offer some options.